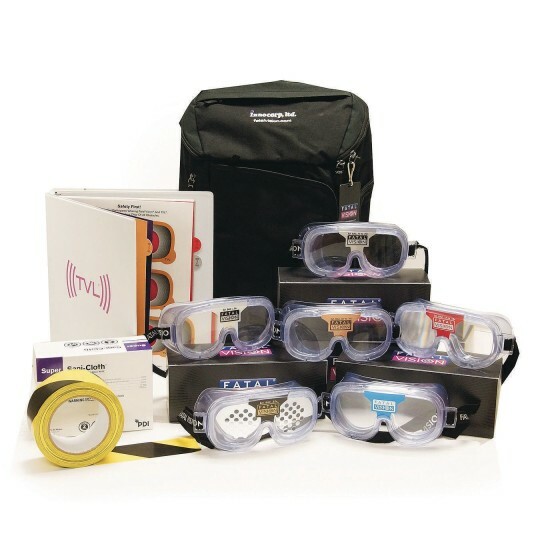 The Fatal Vision® Alcohol Google Program Kit includes six Fatal Vision® Alcohol Simulation Goggles to demonstrate the effects of alcohol impairment at five estimated Blood Alcohol Concentration (BAC) levels. Follow the evidence-based program and user guide to engage participants in a hands-on demonstration allowing them to experience with a sober mind the simulated physical and cognitive impairments of alcohol including slowed reaction time, reduced peripheral vision, and loss of equilibrium. This experience will help participants realize how susceptible they are to the potentially dangerous consequences of alcohol impairment when driving and even while walking.